A recent report has highlighted the devastating impact poor midwifery care and supervision can have on patients and their families. A report by the Health Service Ombudsman has found that poor midwifery care at Furness General Hospital in Cumbria contributed to the deaths of three babies and one mother. The mother suffered from diabetes and died during childbirth. Her baby died the following day after suffering oxygen deprivation during birth. Another baby was also found to have suffered oxygen starvation at birth and a third baby died at just 9 days of age after he developed an infection that was not treated appropriately. WHAT CAN WE LEARN FROM THE REPORT? 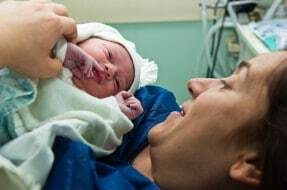 As a medical negligence solicitor, I see, all too frequently, cases brought by parents who have experienced poor midwifery care at the time of the birth of their baby. Sadly, the incidences highlighted in the Health Service Ombudsman’s report are not uncommon. I, and my colleagues in the clinical negligence team have acted for a number of clients who have encountered similar experiences. 1) In the case of the baby who died at 9 days of age, failings on the part of the Maternity Unit included not listening to parents, not recording proper notes and, not spotting the signs the baby was becoming seriously ill.
2) Midwives were not supervised properly during the births. 3) Midwifes were insufficiently trained. 4) Chances to save the babies were missed. “We have to point out, however, that it took five complaints to the Strategic Health Authority, a complaint to the Ombudsman which was rejected, a further review by the Ombudsman which again rejected the complaint and then finally the threat of judicial review and complaints from two other families before an investigation into these issues was eventually opened”. The failings highlighted in the report are the same failings that I see time, and time again, on the birth injury claims the clinical negligence team are instructed to investigate. The report also highlights the battle families face after they have suffered poor hospital treatment in getting their concerns looked into. It is a complaint I often hear from clients that even when something has clearly gone wrong their concerns are ignored which increases the distress and upset caused. We hope that the report will see positive changes for patients at Furness General Hospital. Our experience of these failings is not restricted to Furness General Hospital and Trusts across the UK would benefit from the implementation of similar changes to try to reduce the risk of these tragic circumstances being repeated. If you have any concerns in relation to poor midwifery care that you would like to discuss, please contact me or one of my colleagues for further advice.